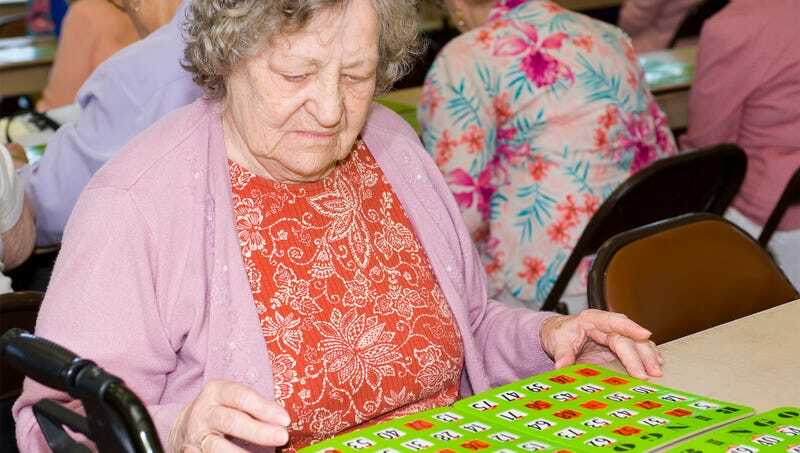 AMES, IA—Presenting the results of a longitudinal study spanning more than two decades, researchers from Iowa State University published findings Tuesday, revealing that nearly seven out of every 10 bingo winners end up prizeless within five years. “These winners tend to come from modest backgrounds, and most are not emotionally prepared for the abrupt lifestyle changes they encounter when they suddenly become the owner of a complete set of commemorative plates or a box of votive candles,” said sociologist and study co-author Karla Nelson, who remarked that a troubling number of bingo winners admitted to blowing through their entire coupon book in a single shopping spree. “Many experience a tremendous sense of euphoria upon first shouting “bingo,” but that rush fades over time. Unable to recapture their initial excitement, several of our study’s participants reported feelings of emptiness that no gift basket of skin-care products or Rachael Ray cookbook could ever seem to fill.” Nelson added that more than half of past bingo winners end up returning to the same dank, fluorescent-lit community centers and church basements where they started—often on the very next Thursday night.